(Newser) – "Cannibal sandwiches," an appetizer featuring raw, lean ground beef served on cocktail bread, may be a Wisconsin tradition, but they are not safe, health officials said, noting that more than a dozen people became ill after consuming them last holiday season. Health officials confirmed four cases tied to E. coli bacteria and 13 likely cases in people who ate the sandwiches at several gatherings late last year, the Centers for Disease Control and Prevention said a report issued this week. 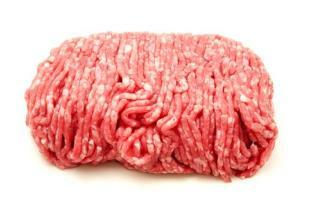 The meat came from a Watertown market that later recalled more than 2,500 pounds of meat. Yet the same health officials are going to allow genitically modified foods. If the anti-everything gang wouldn't go hysterical when irridation of food is mentioned meat could be a whole lot safer. Acutually, a whole lot of food is irridated and fortunately there's no law stating it on the package to prevent the hysterics from the kookballs who believe eating it would cause people to glow in the dark. I had a roommate who used to eat raw hamburg. It really turned me off. I used to like a little rare-ness in my burgers, not anymore. In fact, I don't eat too much meat anymore. Once in a while I do like a burger. Not too often though.